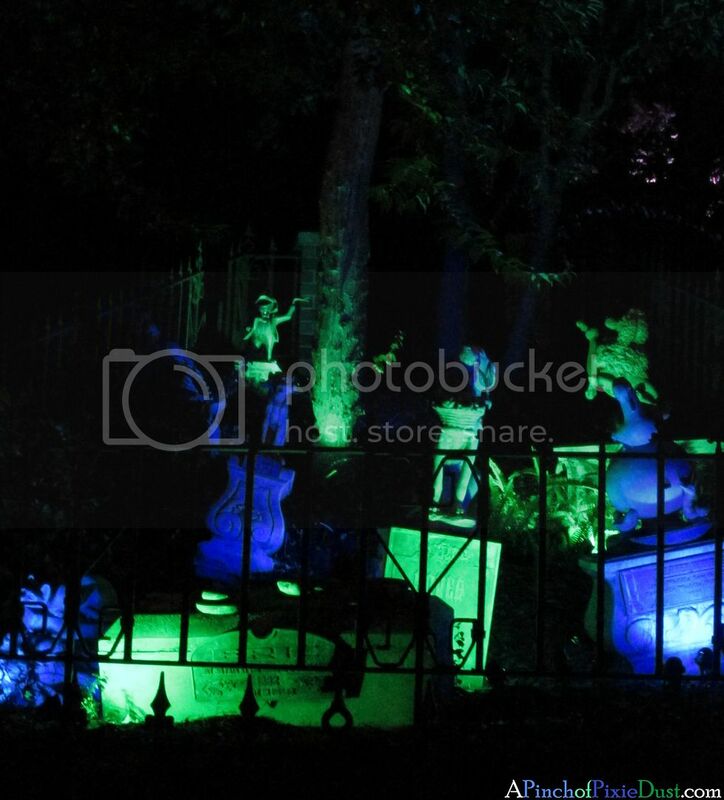 We have just returned from an October trip to Walt Disney World, and I'm just going to say it: Mickey's Not-So-Scary Halloween Party is completely. AMAZING. 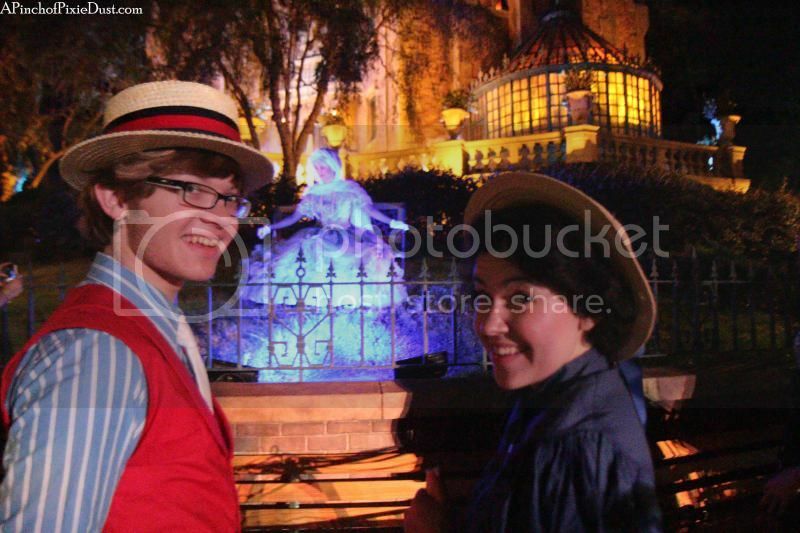 Definitely one of the most epic events you can experience at Disney. 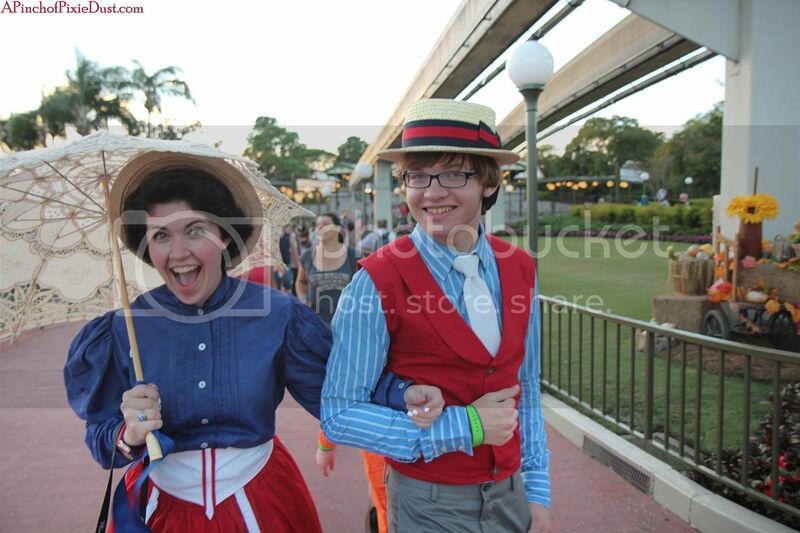 We had a fantastically fun time. 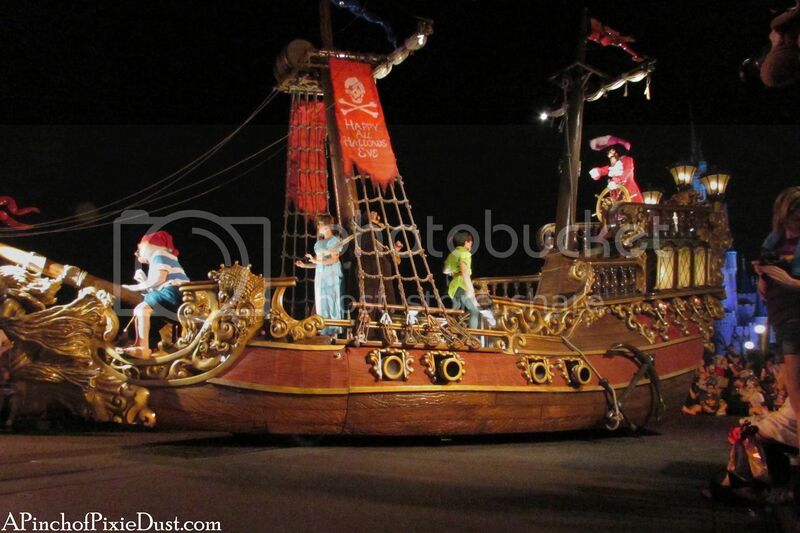 However - there are so many things to do - characters and trick or treating and the special parade and fireworks - and so much to take in that it can get pretty overwhelming! 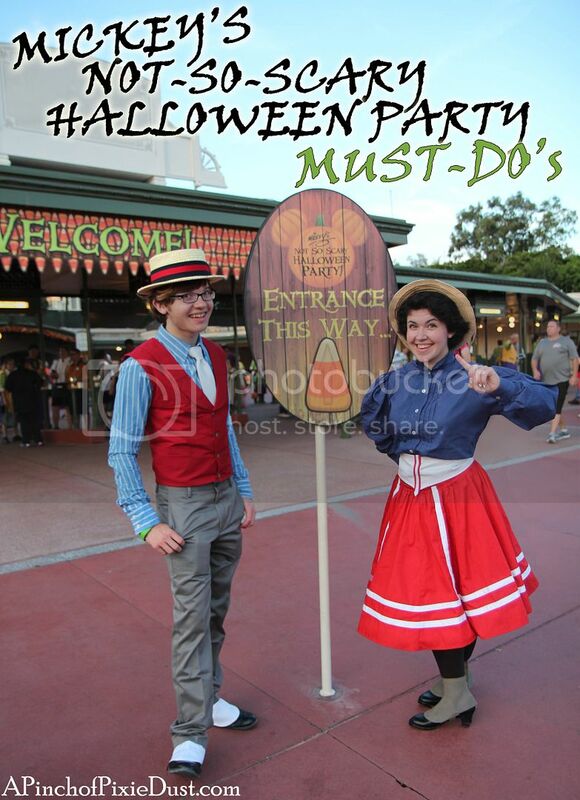 So I thought I'd break our MNSSHP up Stacy-style and give you the must-do's. Are you ready? 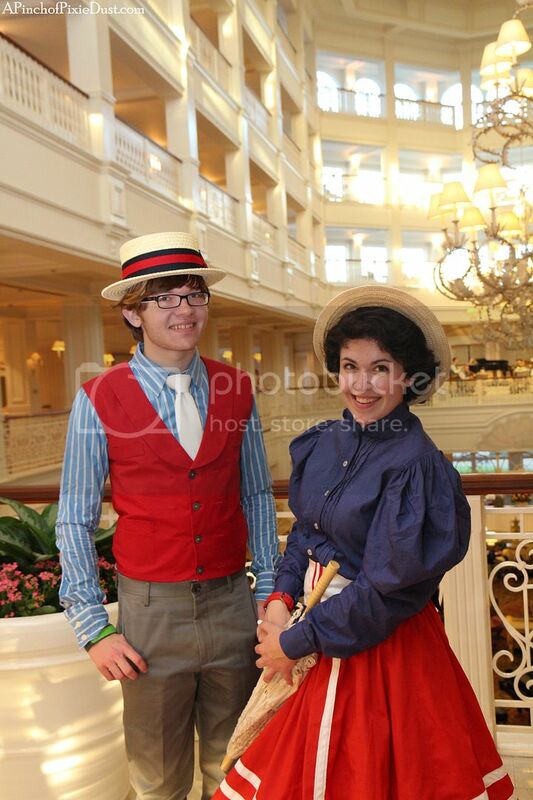 We were staying at the Grand Floridian and got ready there. 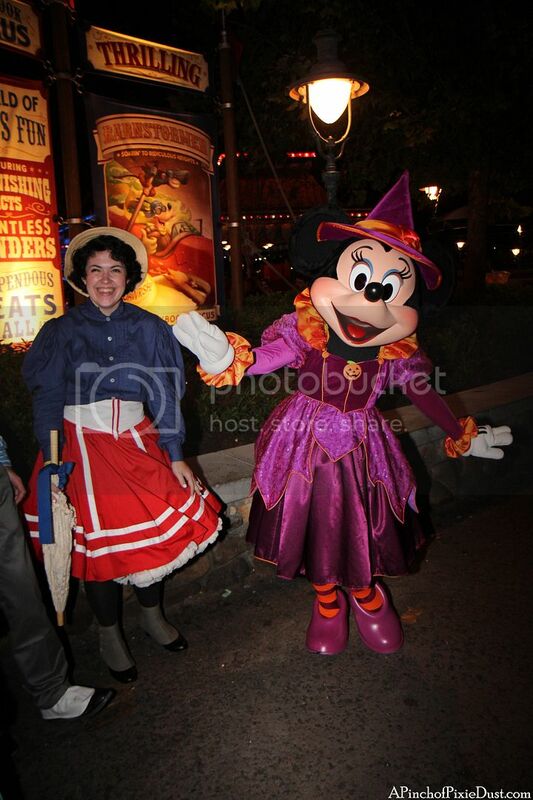 If you're staying at a WDW resort, the Halloween fun starts well before you arrive at the party. 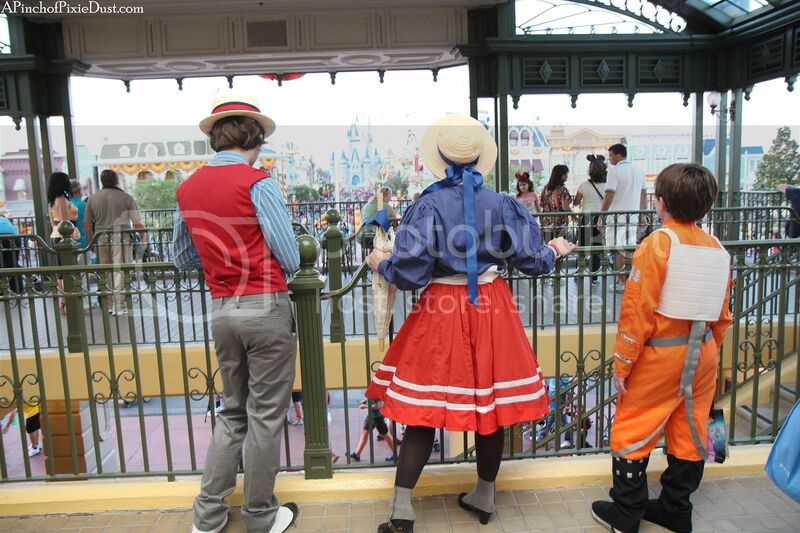 Many of the other guests at the resorts and on your boat/monorail/bus/Disney transportation heading to the MK will be dressed up in costumes for MNSSHP too! 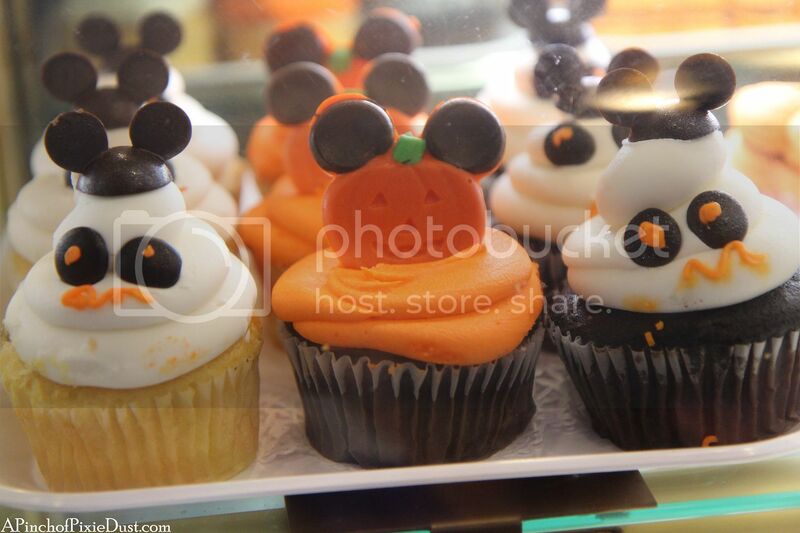 "Join us on select dates in September and October in the Magic Kingdom for Mickey's Not-So-Scary Halloween Party!" 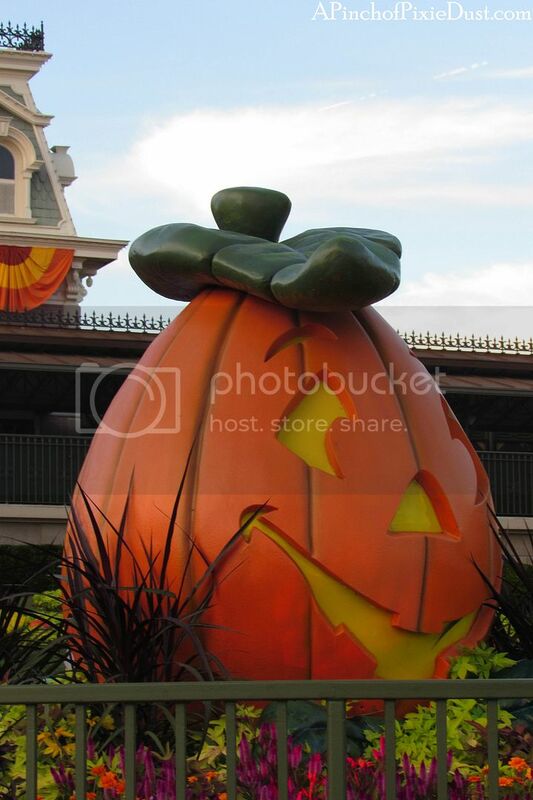 I love the fall gourds and autumnal display that greets you as you walk up to the security check at the Magic Kingdom. Make sure you get your party tickets in advance - they often sell out the day of, if not sooner. 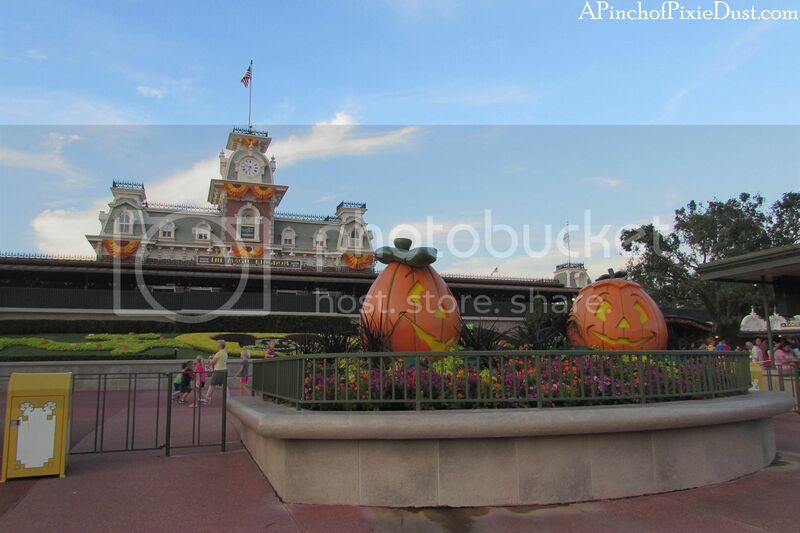 The nice thing about a MNSSHP ticket is that it counts as park admission starting as early as 4pm (although the special characters/events won't begin until the official party start time at 7pm). Spend the earlier part of the day relaxing at your resort and then come ready to party! 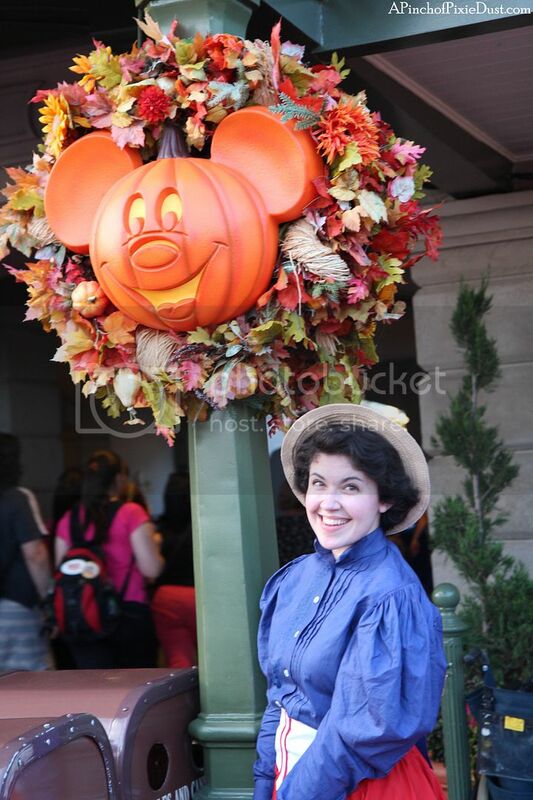 There are so many charming fall decorations at the Magic Kingdom - some are up all the time, some come out exclusively for the party. 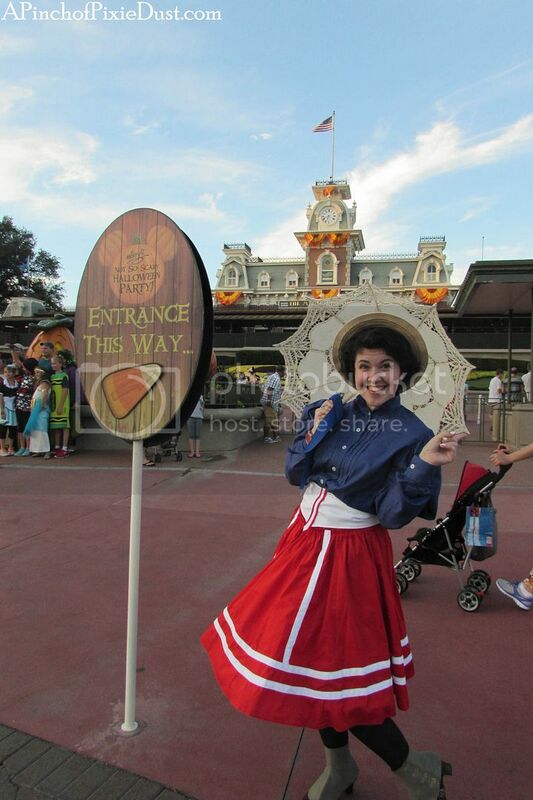 We took our time heading in the turnstiles to snap some photos and just soak in the atmosphere. We had such good luck weather-wise. The sun was just starting to set as we entered Main Street, but some other ghoulish lights were about to come out and play. 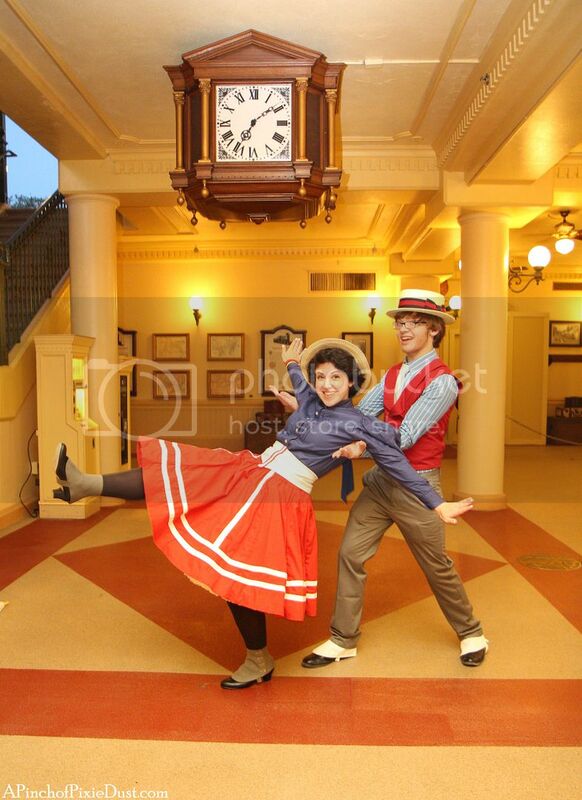 The clock above the train station, for instance, was flickering! We ended up arriving just before 7pm. 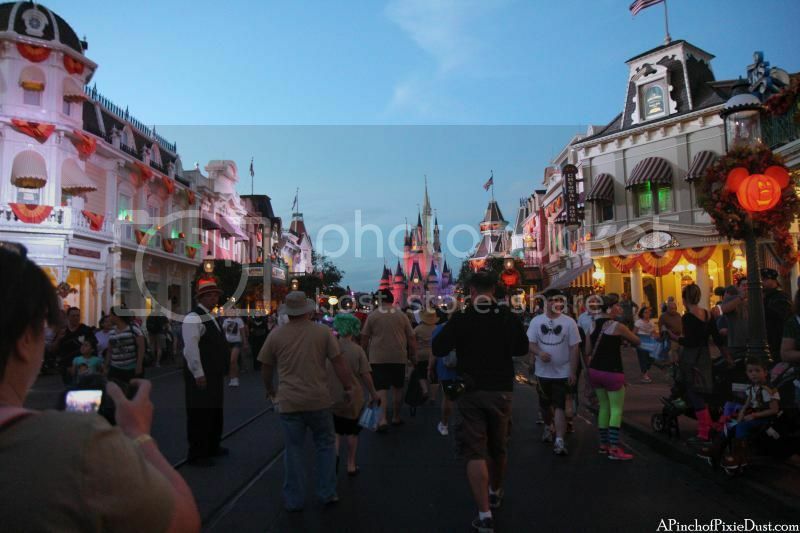 Main Street was packed - all the normal, non-MNSSHP guests are leaving on one side and all the party-goers are coming in on the other. 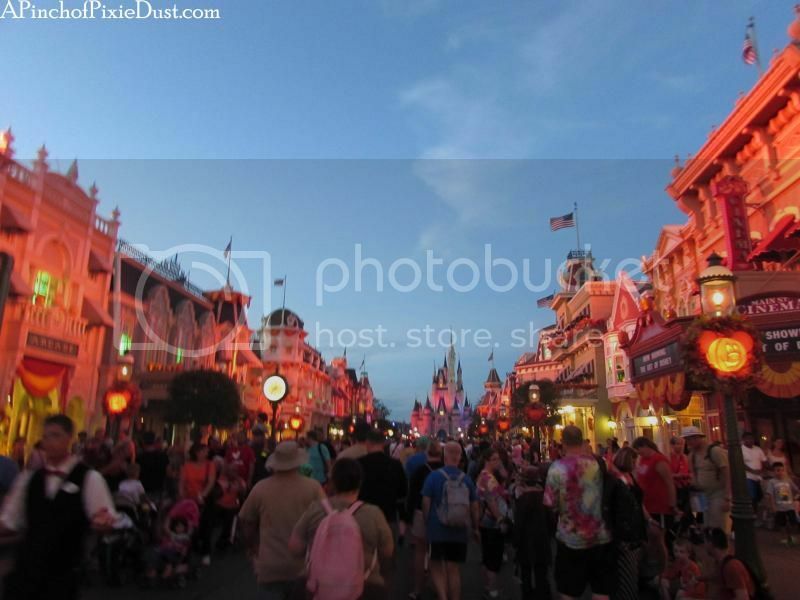 It was exciting to be on Main Street at 7 though - you have to stop to listen to your Ghost Host announcing the spooky park takeover! 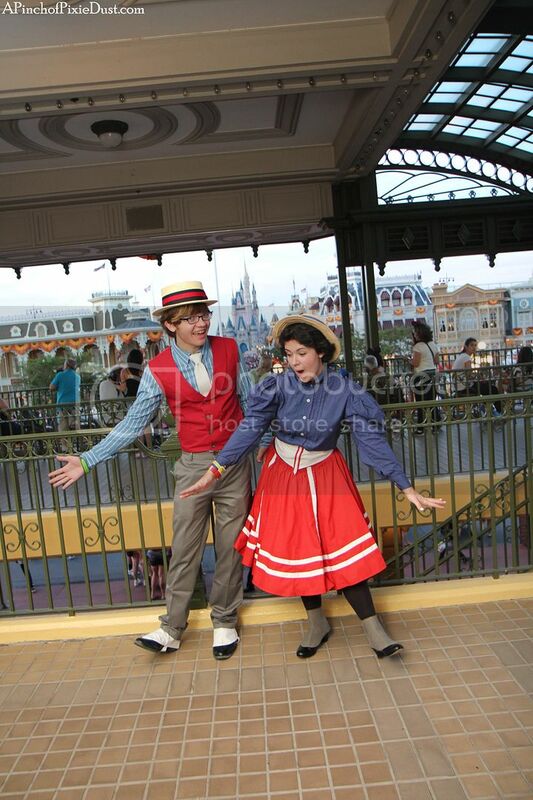 We had to swing by the Train Station to practice our Welcome Show / Trolley moves. As Athos hashtagged it, #gottawelcomeeverybody! 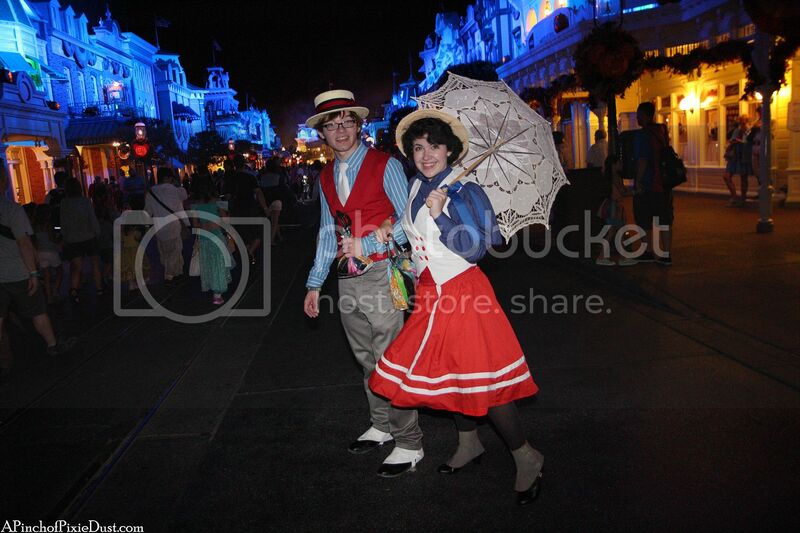 Main Street never looks cooler than on a Not-So-Scary night! THOSE LIGHTS! 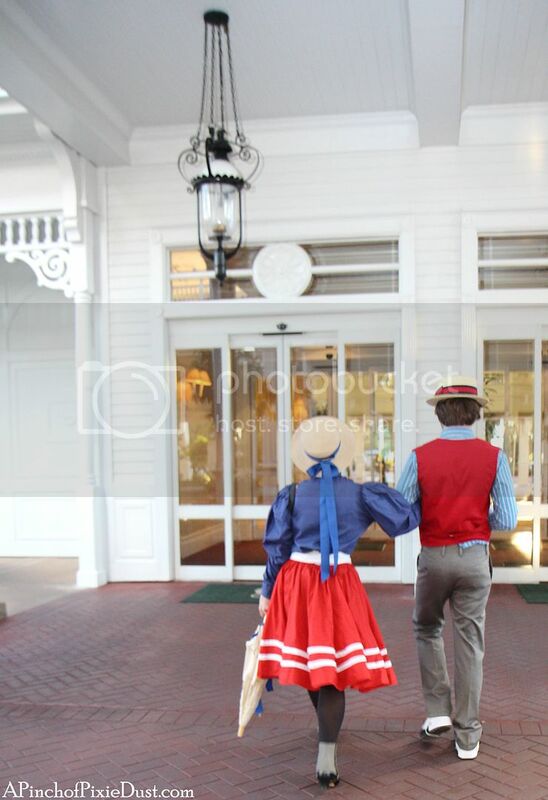 And they flicker and change and dance to the music. 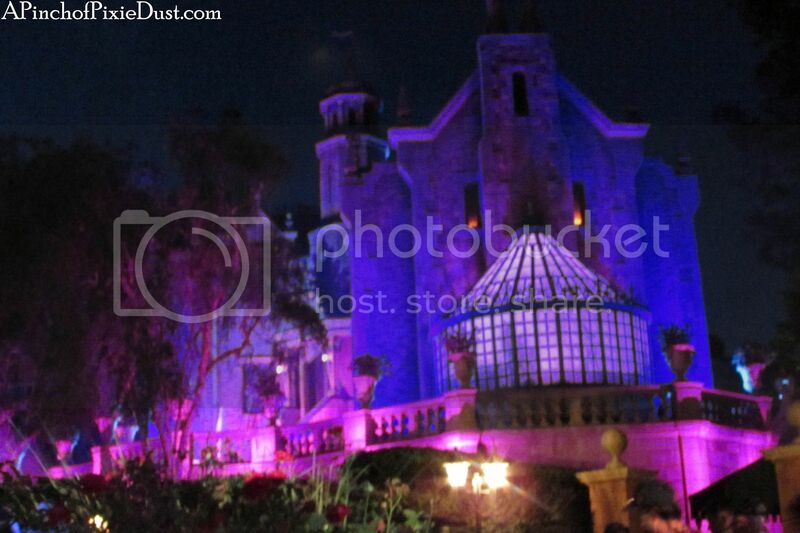 There are Halloween tunes and Disney villain songs playing throughout the entire park on party night. 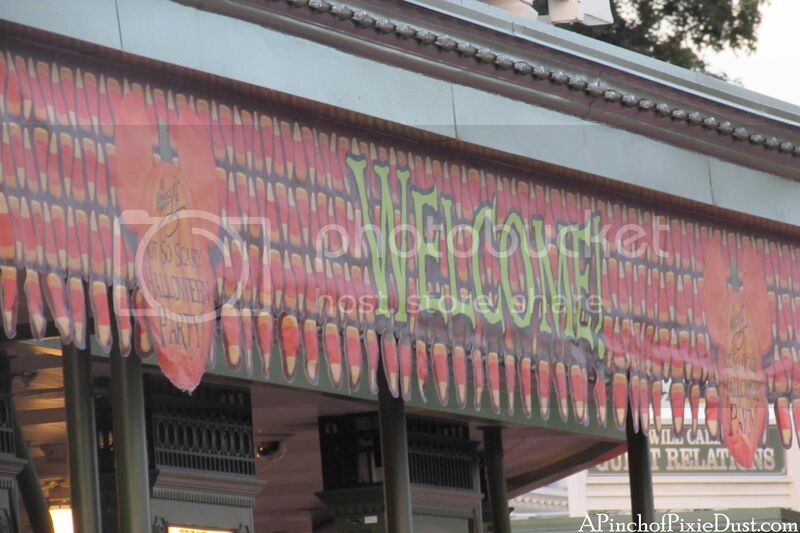 It's so weird to hear "Thriller" in Frontierland instead of Western music! 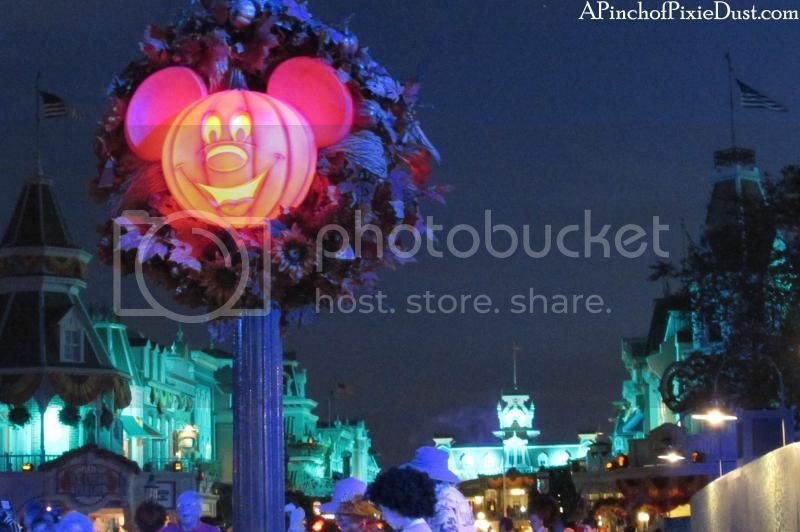 All the jack o' lanterns in the windows and the Mickey pumpkins on the lampposts are glimmering and glowing! 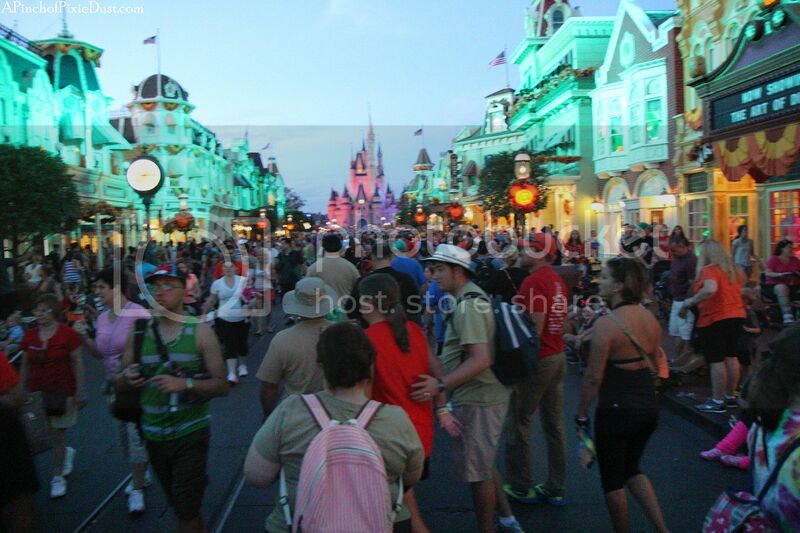 The whole park - as well as Main Street - is lit up in Halloween greens and purples, and we really enjoyed strolling around to take it all in. 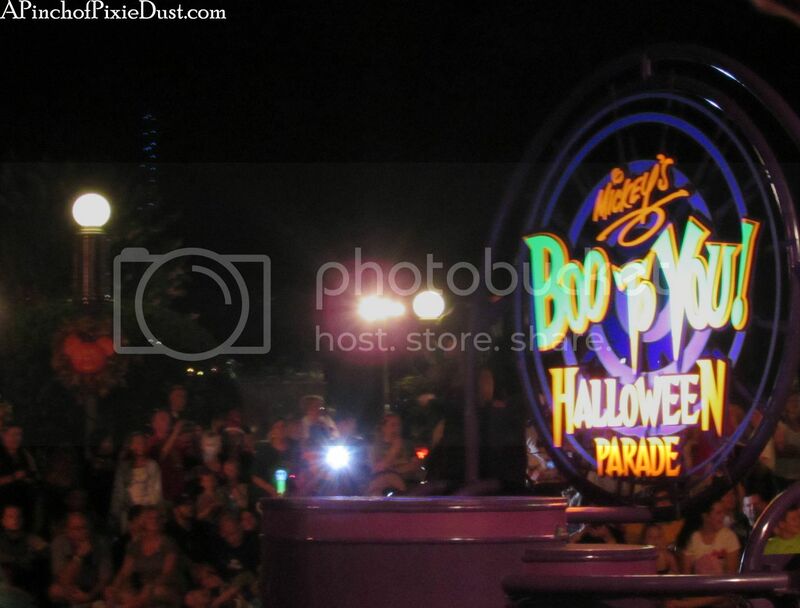 There were already some guests lined up along the parade route on Main Street at 7pm for the first Boo to You parade, but I would have been kinda bummed to have to stop and wait right when the party started. 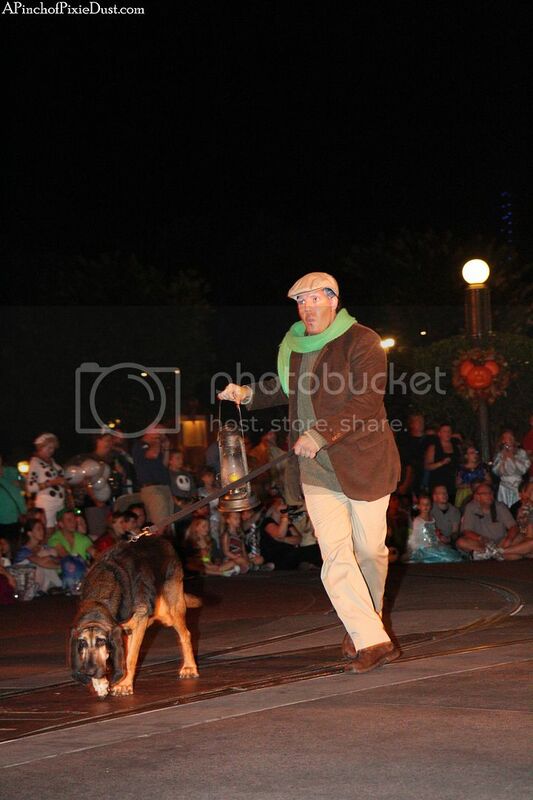 We decided to do the later parade and spend the early hours exploring the Halloween magic in the rest of the Magic Kingdom. Post your answer in the comments! 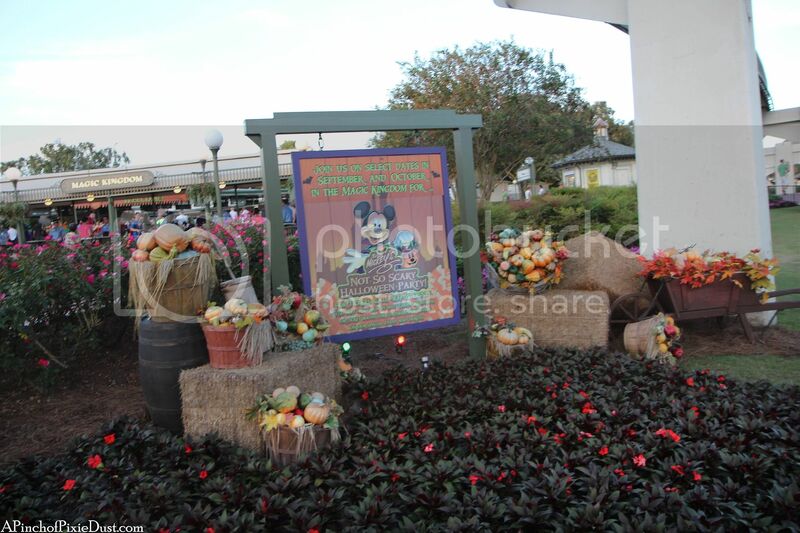 And props to everyone who identified last week's garden - that parterre is across the water from the friendship dock right outside the International Gateway entrance to Epcot. 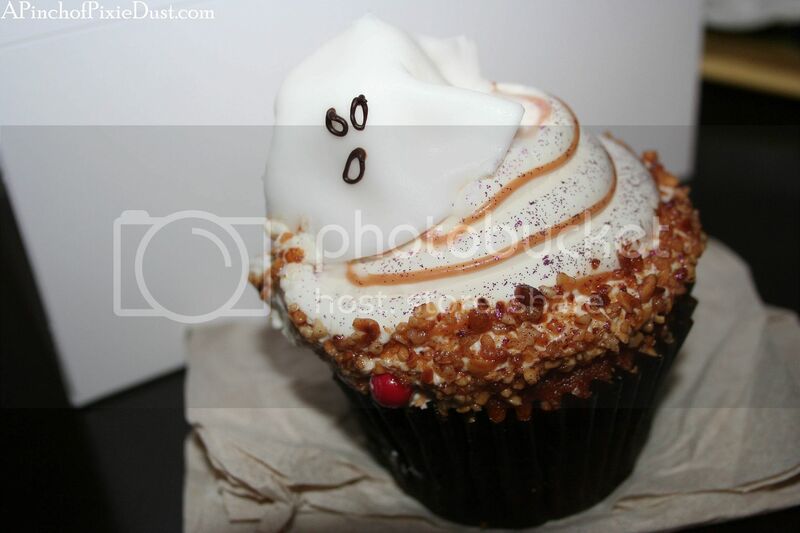 ...or this adorable grim grinning ghost from the Boardwalk Bakery. 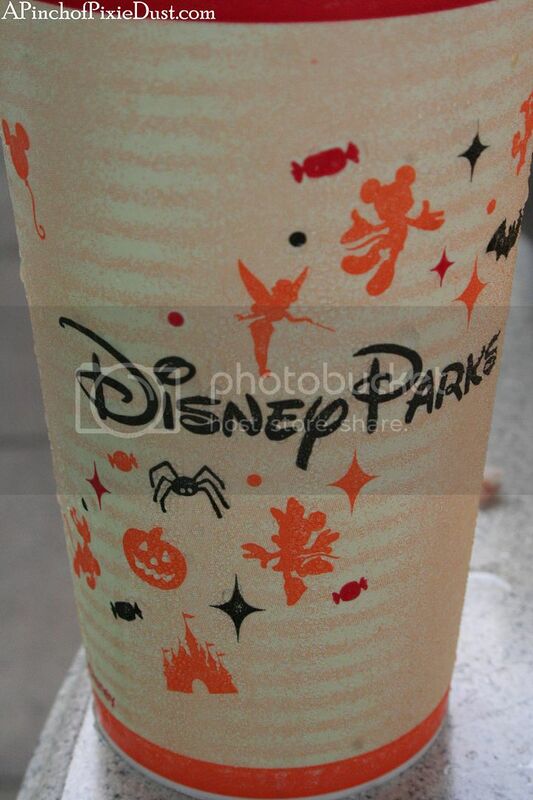 Even the drinking cups are dusted with ghoulish pixie dust! So. 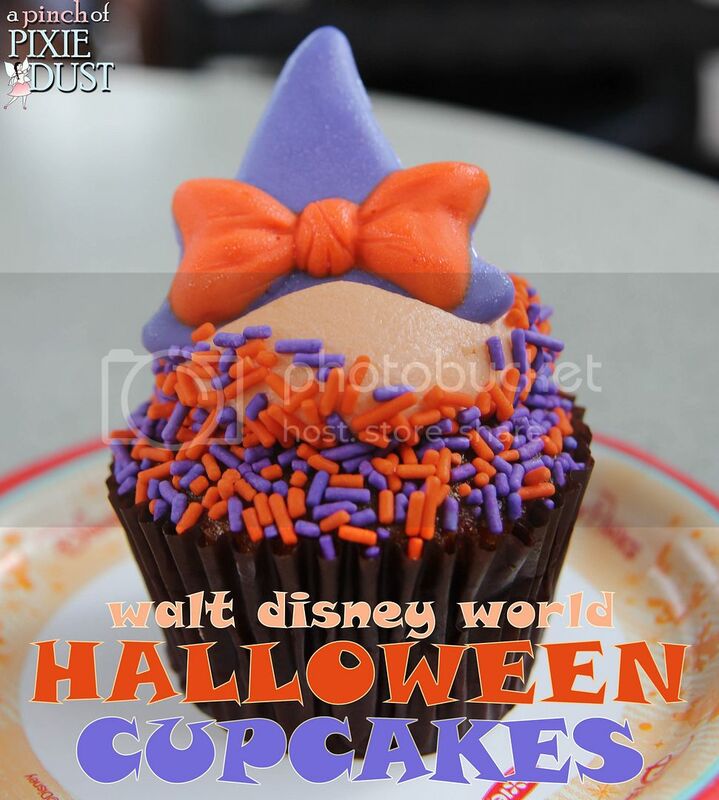 Let's start our new cupcake quest at the Magic Kingdom at the most magical Disney Halloween event - Mickey's Not-So-Scary Halloween Party. 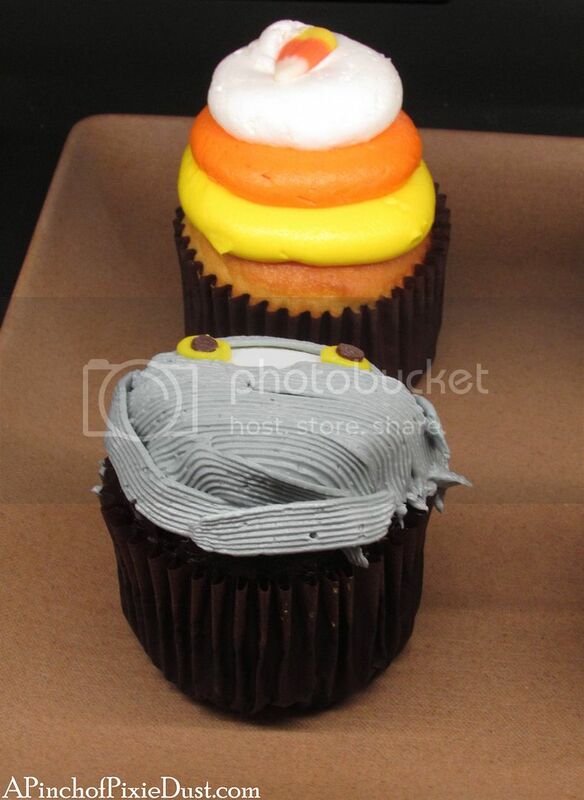 There are special treats that come out after 7pm just for party guests...and some of them are cupcakes! 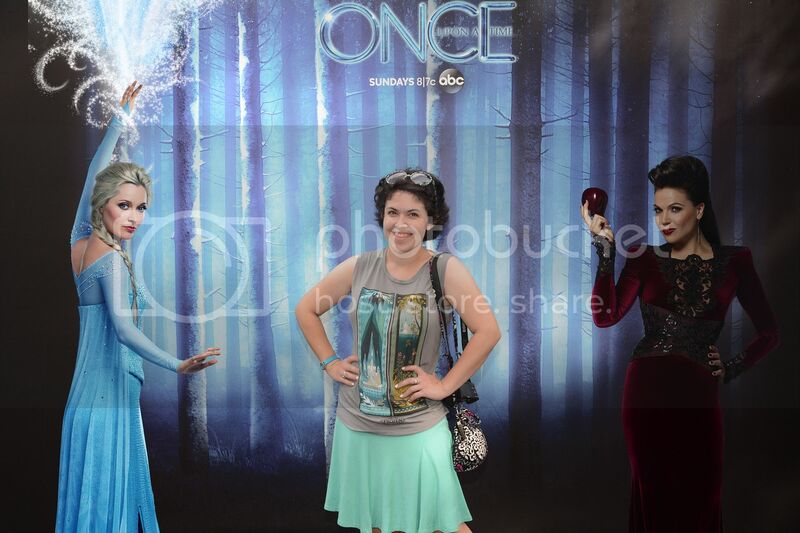 I'm a Disney Snob, so it should come as no surprise that I love the show Once Upon a Time on ABC. They reimagine classic Disney characters and storybook tales; the actors are great, the costumes are gorgeous, and this season, to capitalize on the continuing Frozen craze, they've added some Elsa and Anna to the Storybrooke mix! 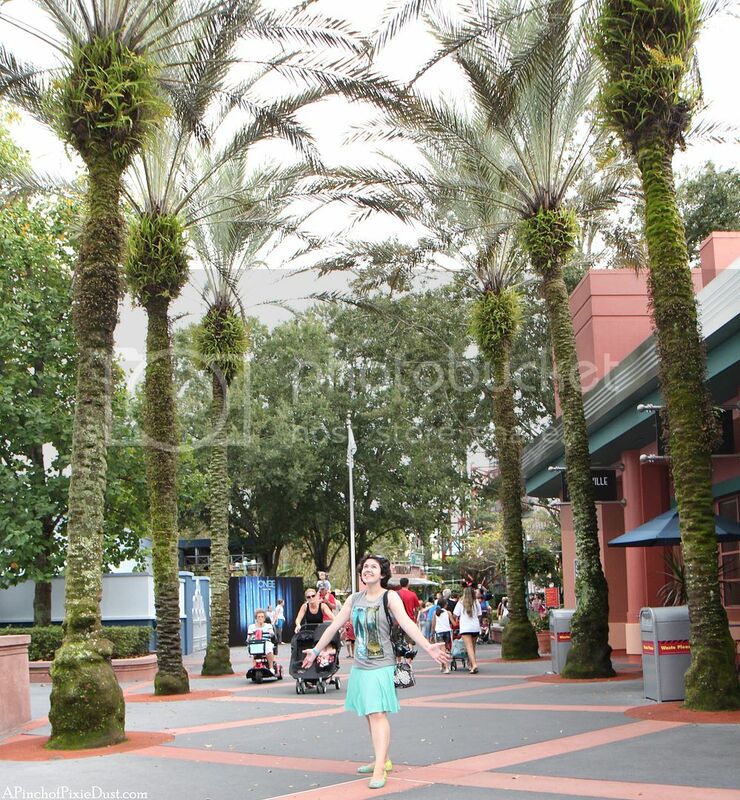 I was strolling along next to the Commissary, admiring the palm trees, naturally, when I noticed a new photo spot by the American Idol Experience backstage entrance. 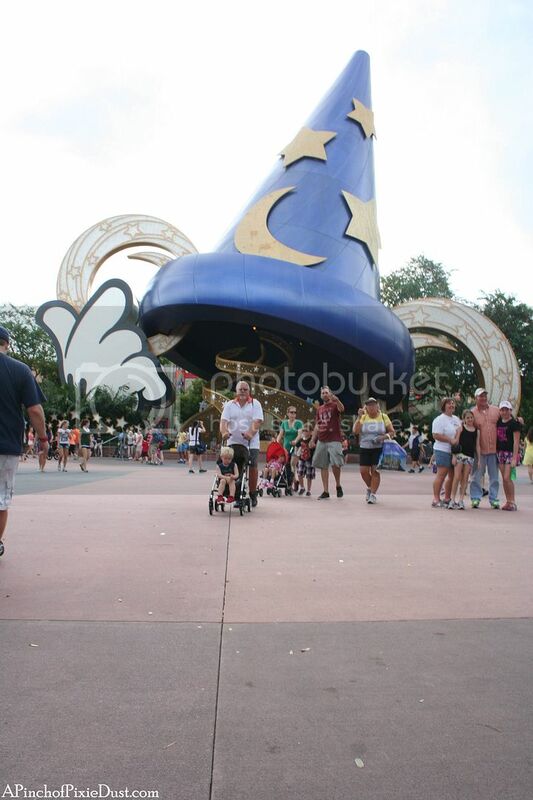 You can see it in the background to the left in the photo above. 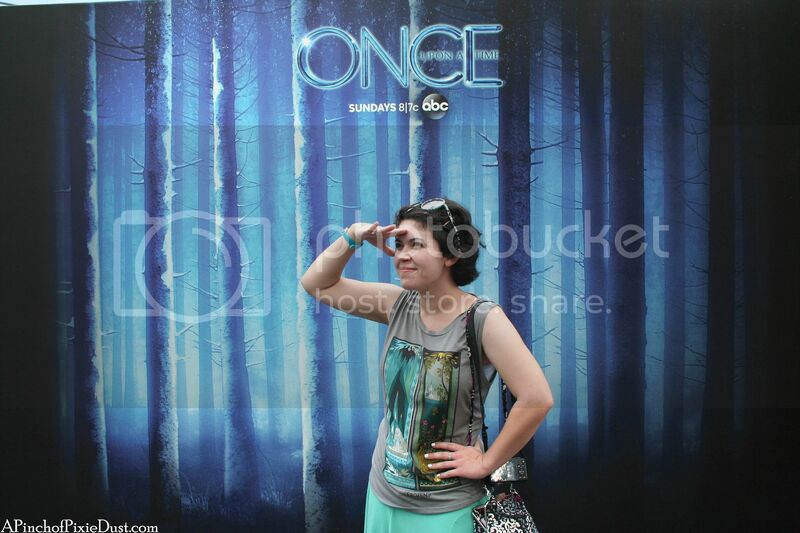 It was the classic forest scene that you see in the intro to Once Upon a Time! 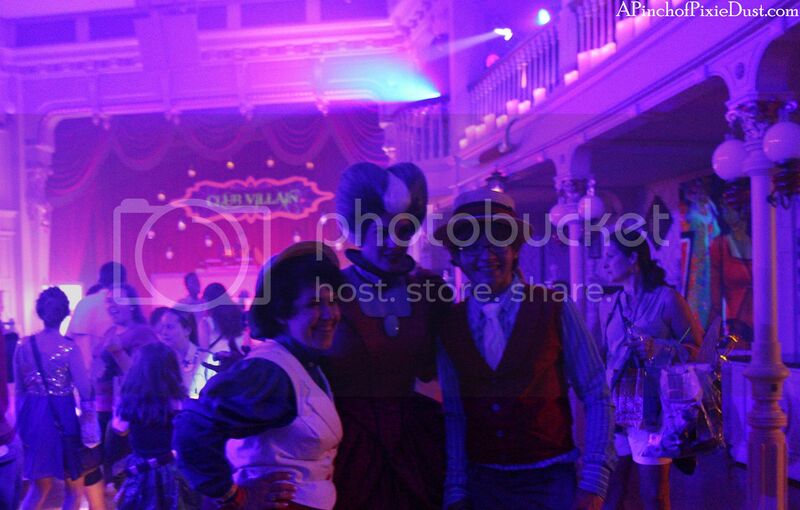 Here's the magic shot - they add in Elsa and Regina, the evil queen! 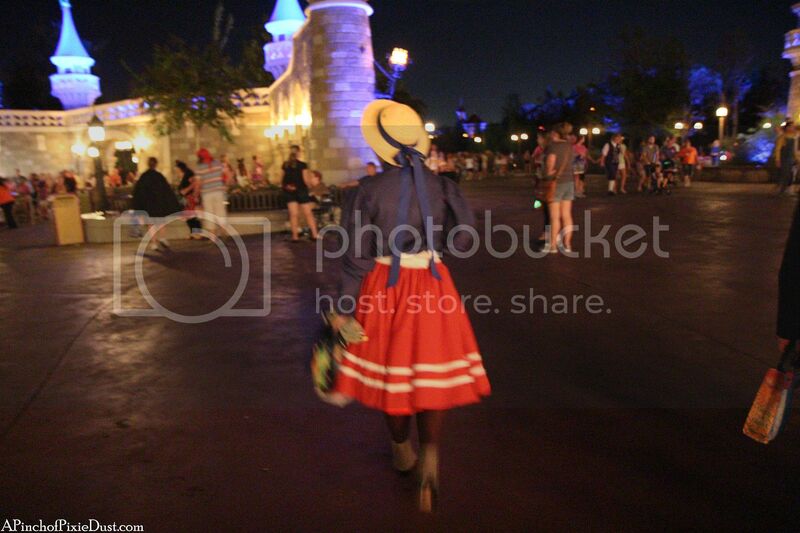 But here's the best part: since it's a OUAT Frozen promotion, you can download the photo for free, even if you're not purchasing the photopass cd. Love it! 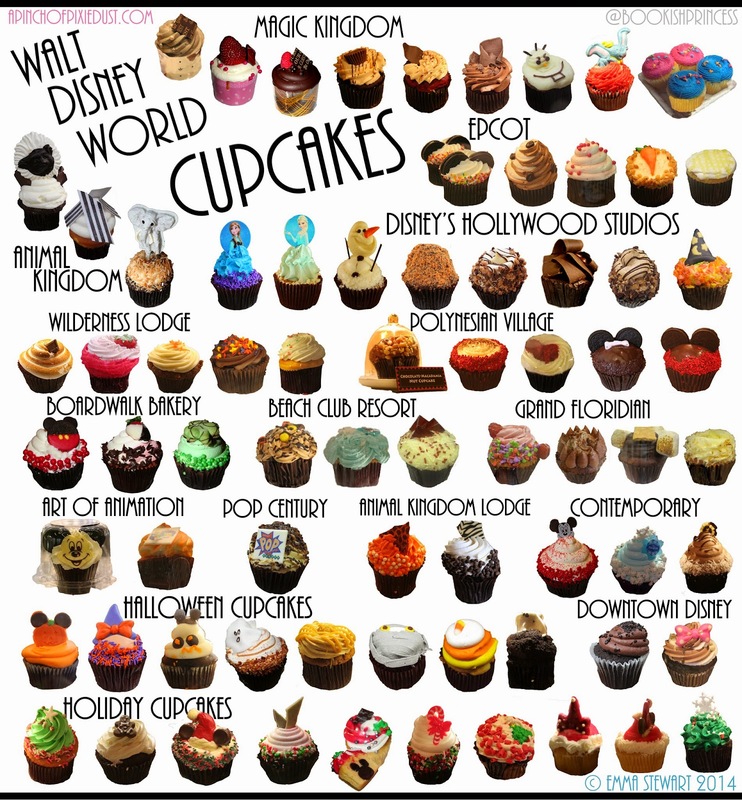 Are you a OUAT fan? 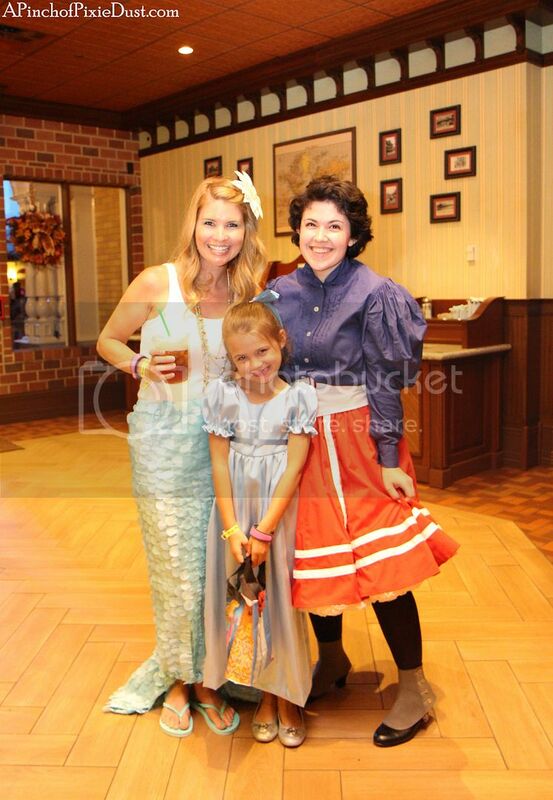 We are just back from a fantabulous October Disney trip, guys, and I couldn't wait to share some of the Mickey's Not-So-Scary Halloween Party fun! 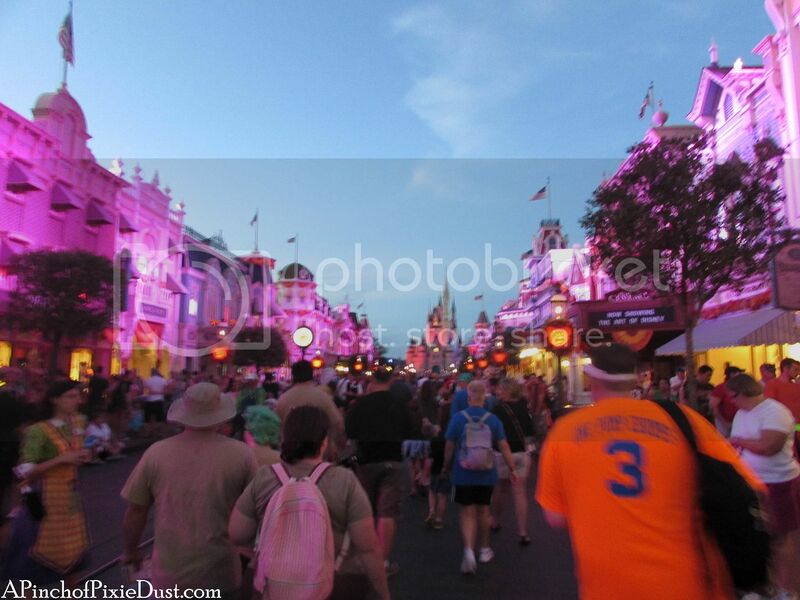 Arriving for the party is always super exciting - the park is dressed in its orange Halloween finest and so are many of the guests! 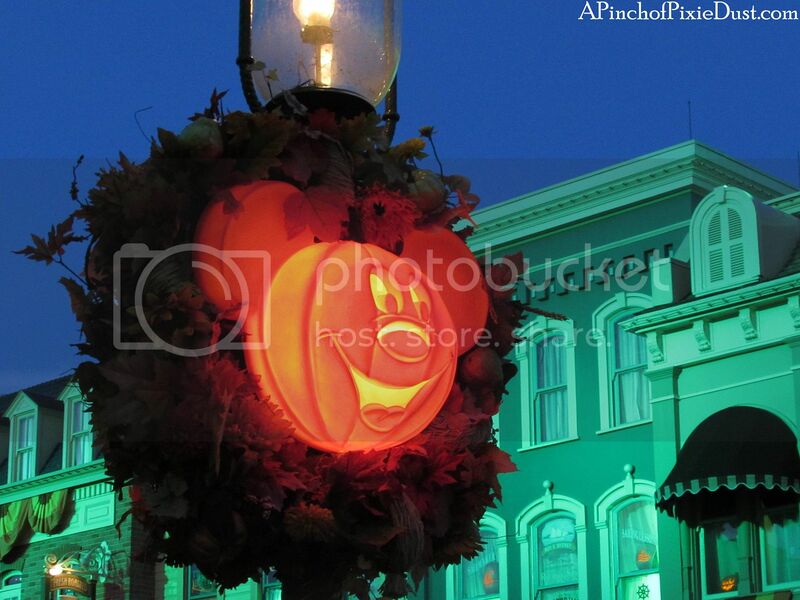 Walking right down the middle of Main Street USA is even more magical with the gorgeous and ghoulish lights! ...and we spotted some ghosts out on the lawn! 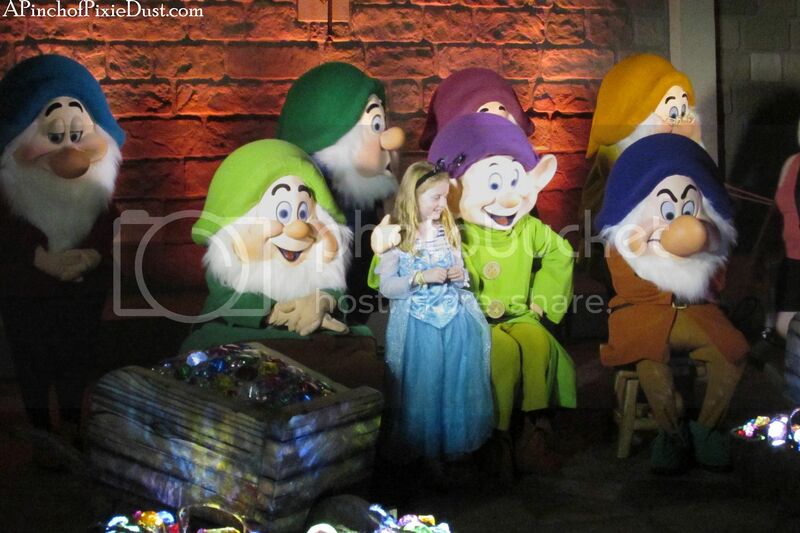 It was fun to catch a glimpse of all the special meet and greets, like the Seven Dwarfs! 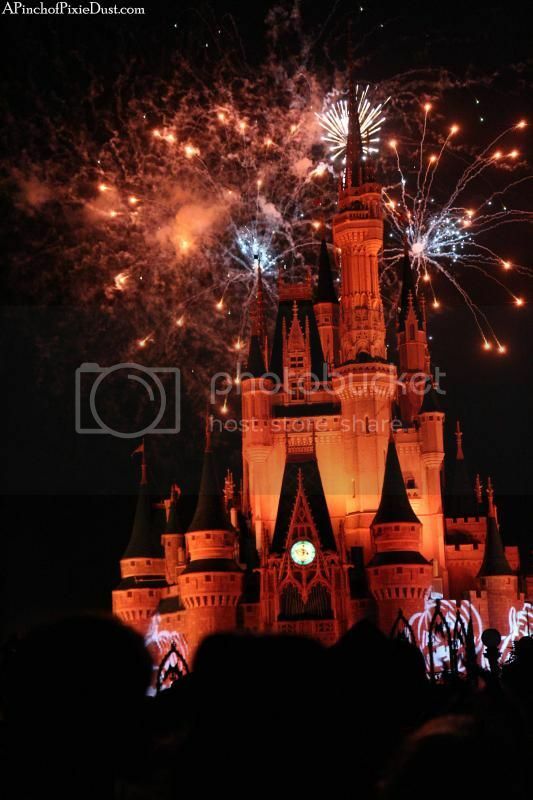 We watched HalloWishes from the hub - loved the Jack o Lanterns on the castle! 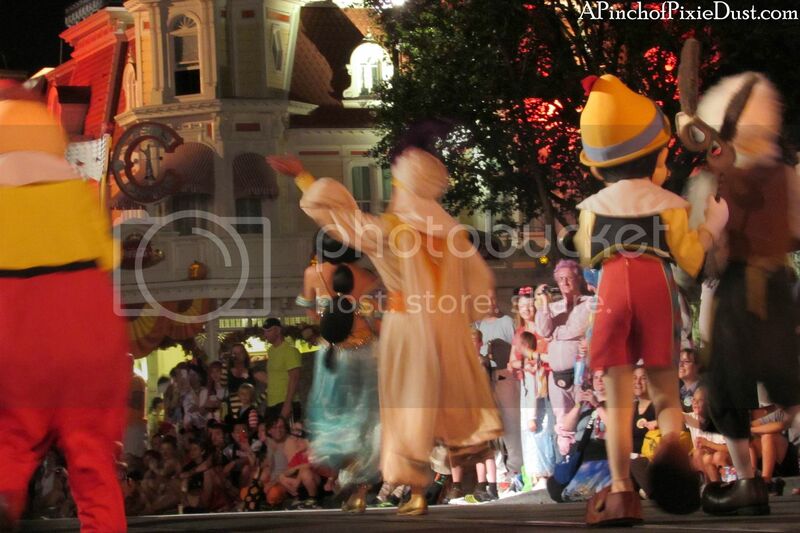 The classic characters trick or treating with their masks were so sweet! 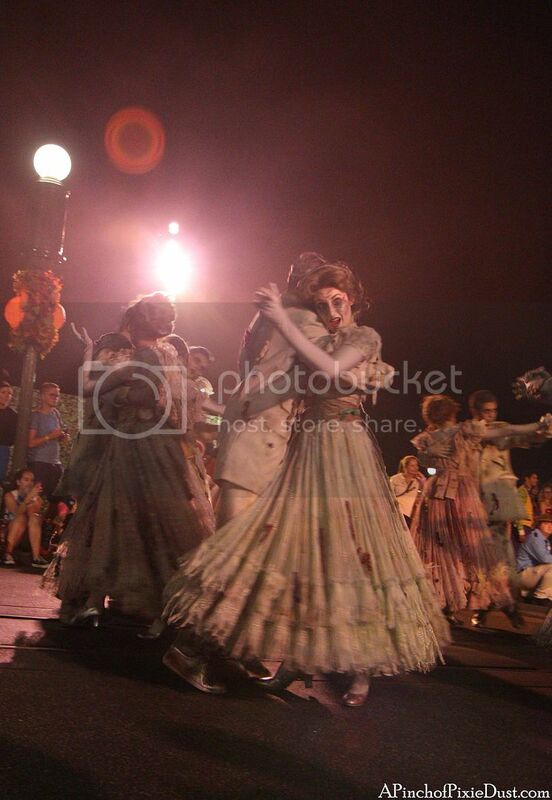 The Haunted Mansion segment was definitely my favorite - those dancers!! And the grave diggers!